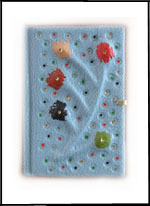 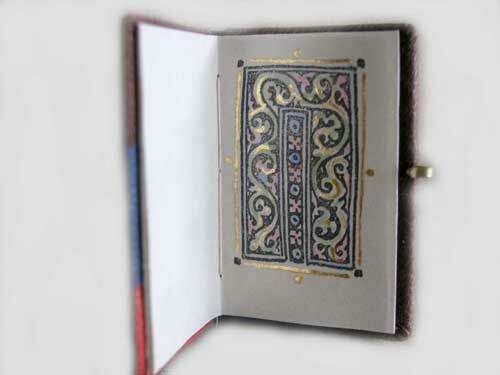 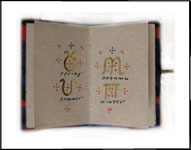 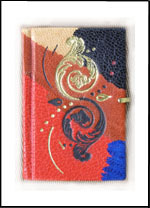 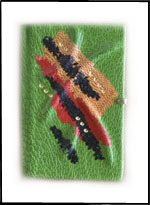 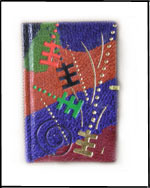 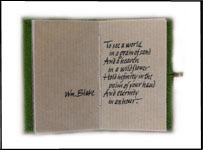 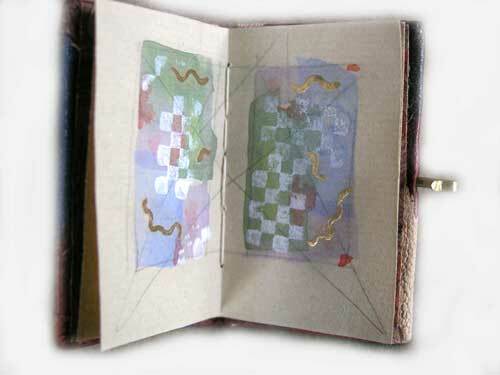 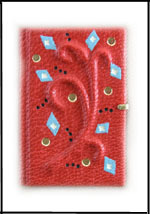 including decorated inner text pages, fine miniature marbled endpapers, leather-onlay and gold tooling of the outer binding, and small integral brass sliding clasps that hold the book closed at the foredge. 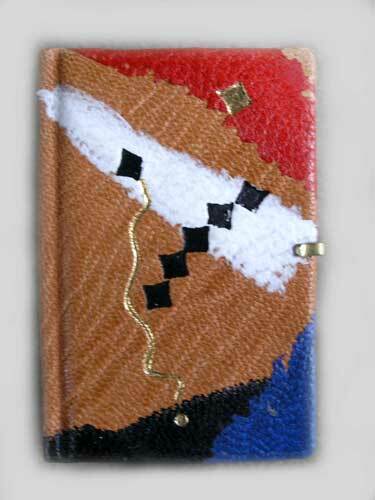 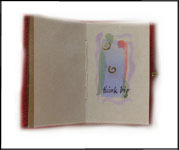 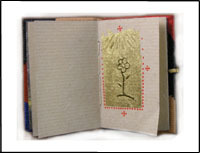 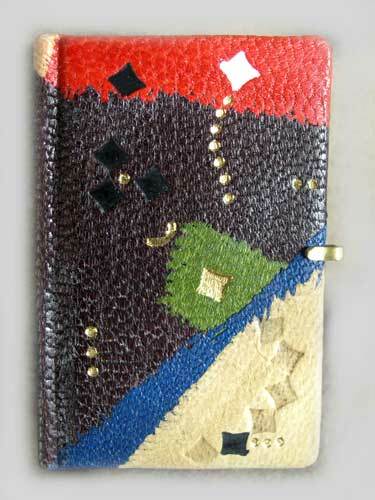 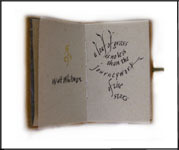 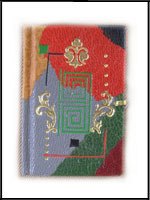 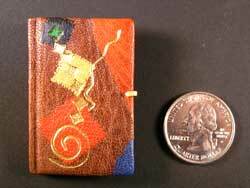 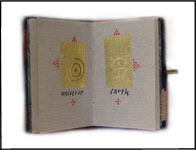 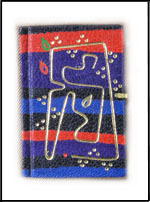 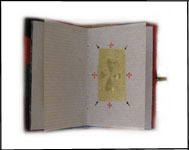 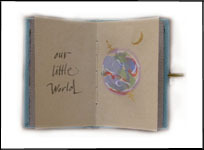 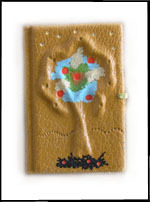 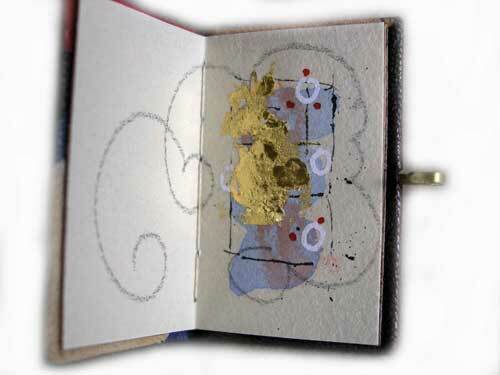 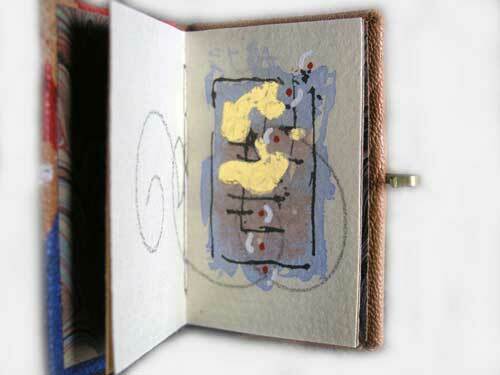 Some examples you see here include miniature illuminations (gold leaf applied onto gesso base) among the interior pages. 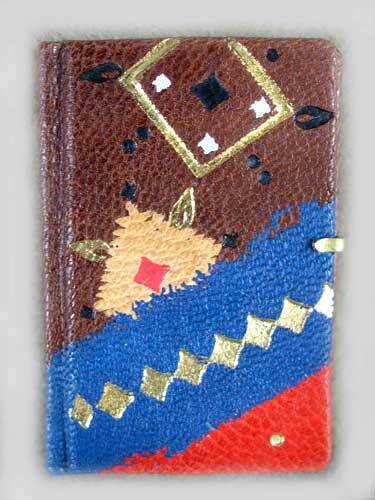 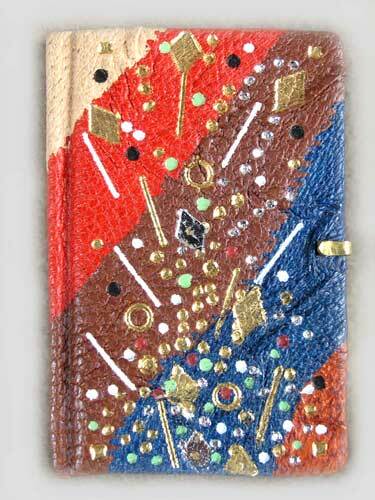 Some have built-up sculptural treatments underneath the leather covering the bindings.